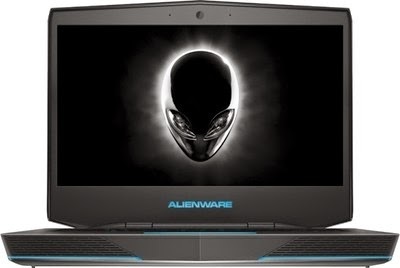 The subsidiary Alienware Corporation Dell has introduced its next laptop, Alienware 13. Since 1996, Alienware Corporation manufactures desktops and laptops specifically tailored to meet the needs of gamers. After Alienware 18 , Alienware 17, and Alienware 14 computers, the subsidiary of Dell since 2006, has presented the Alienware 13, the thinnest and lightest model of the range. Some information was provided. This computer will be available with three screen types to choose 13-inch: a screen of 1366 x 768 pixels, 1920 x 1080 pixels or 2560 x 1440 pixels. Windows 7 or 8.1., It will consist of an Intel Core processor, an Nvidia GeForce GTX 860M and RAM up to 16GB. This new model is distinguished mainly by its size. 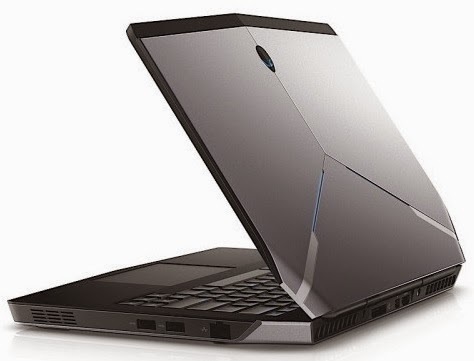 With a thickness of 2.54 cm and a weight of about 2 kg, it is thinner and lighter than Alienware 14, with about 4 cm thick to approximately 3 kg. At autonomy the battery would allow up to 8 hours video playback mode. The company did not specify its release date, but this model is not expected to be available before the end of the year. Ditto for the prices of different versions. Dell said that when the release date is closer, it would detail the components and specifications of the Alienware 13.